Show us your aftermarket Bar Ends! Mine are a faux carbon fiber by Lockhart Phillips... I don't really care for them. Show me yours! Whatcha got?!!? Anyone running a heavy steel aftermarket bar end? I was checking out the Heavy HVMP bar ends.... Until i saw the $70 price tag. why heavy steel? are you looking for more vibration dampening? Well, more than i have now, with these aluminum bar ends. I have lead diver weights slipped into the bars, just looking to add weight to the outer ends. Anyone know what the stock bar ends weigh in grams or ounces? Check out eBay item 180663757314. Ships from USA, at least, for $27. They're made of steel and "weighted". Not sure what you weight steel with for bar ends? Maybe moon rock? Yep, saw those, but i need a universal bar end with the rubber wedge type inner end, as the stock weight is not installed inside my handlebars. Like i mentioned above, i have diving weights installed in the bars. Those mirrors you have are the same as the ones I have been posting about in the rant section, except the ones I still don't have are silver not black. Ha ha, at least you have yours. Yes I have two sets right now… not aftermarket, but from other model bikes, using these on my Apex bars and used them previously on the VFR bars I had. Both are held in place with an aluminum split wedge I make. One is an adapted set from a Triumph. They are fairly heavy @365 grams each and have an elastic rubber isolator between the center mount and the end weight itself. The other set is from a Suzuki …. I honestly cannot remember which model though.. I picked up both as junk at my local dealer when they were replaced as part of an insurance job. //Little [paint stripping and some new powder coat, good as new. Are you looking for looks? Vibration reduction, added lights? Last edited by E.Marquez; 05-14-2015 at 09:36 AM. I need some help trying to identify a part. 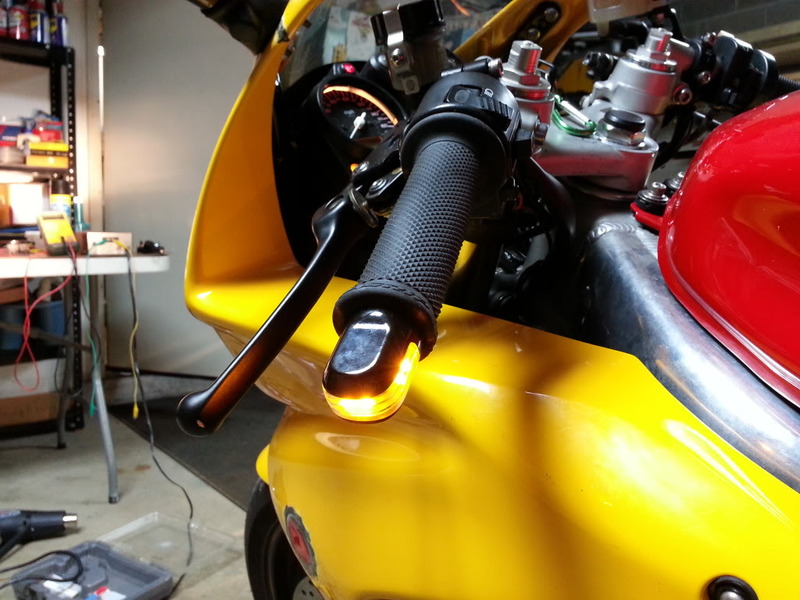 Quick Reply: Show us your aftermarket Bar Ends!